November 17, 2017 by Beeraj Patel, Esq. As the Trump administration moves closer to ending the DACA program, many Americans wonder what type of effect it will have on the country. Trump announced in September his plans to scrap DACA, a program that provides temporary protection to undocumented immigrants who arrived in the United States as children. 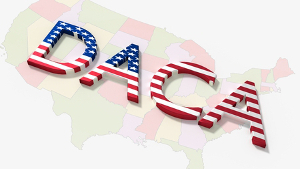 Deferred Action for Childhood Arrivals, or DACA, is an immigration policy that provides individuals who have entered or remained in the country illegally to receive a renewable two-year period of deferred action for deportation. These individuals are also eligible for work permits. Nearly 790,000 unauthorized immigrants have received deportation relief and work permits through the DACA since the program rolled out, according to data released by U.S. Citizenship and Immigration Services. These individuals, who are referred to as DREAMers after the DREAM Act bill, are now at risk after the Trump administration announced it will phase out the DACA program less than a decade after it was passed. The immigration policy was established in June 2012 after acknowledgment that certain immigrant students had been raised in the U.S. for the majority of their lives. In 2007, the Congress considered the DREAM Act bill which would have provided unauthorized immigrants with permanent residency if they met certain qualifications. However, the bill was not passed. It was again considered in 2011 and did pass the House but failed to acquire the 60 votes needed to overcome a Republican filibuster. In 2013, the immigration system was reformed to allow DREAMers to remain in the country to work and attend school. This time, the policy passed the Senate but did not get a vote in the House. Many believe Congress’ failure to pass the DREAM Act bill gave Obama the drive to sign the DACA. 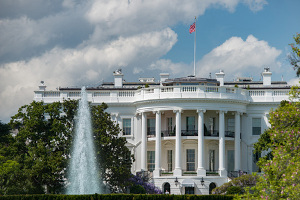 On June 15, 2012, former President Barack Obama announced the new policy with a speech at the White House. This date was chosen as it marked the 30th anniversary of Plyler v. Doe, a landmark decision that barred public schools from charging tuition to illegal immigrants. To apply for the DACA program, immigrants had to be younger than 31 on June 15, 2012 and must have arrived in the U.S. at an age younger than 16. Since the Trump administration announced the probable cease of the DACA program, supporters have been protesting in front of the White House around the clock. According to a NBC News and Survey Monkey poll, approximately 64 percent of adults aged 18 or older support the policy. While the program does not give DREAMers a path to become U.S. citizens, it does allow them to secure jobs, enroll in school, and obtain U.S. driver’s licenses. Currently, President Trump is under pressure from several states to end the DACA, stating that the program established by Obama was unconstitutional. While business leaders and immigration advocates also put intense pressure on Trump to maintain the program, the administration made the decision to end it after weeks of deliberations. Protests continue to erupt across the country in the wake of Trump’s announcement. Many undocumented immigrants worry about the future of the DACA and how it will affect their ability to legally remain in the U.S. Youth immigrants who are presently enrolled in the DACA program will maintain coverage until their permits expire. If a permit expires before March 5, 2018, the undocumented immigrant the option to renew his or her permit for an additional two years if renewed by October 5th. Immigrants with permits that expire beyond March 5, 2018 will not have the option to renew and may be subject to deportation after the expiration of their permits. Those who miss the October 5th deadline will also be disqualified from renewing and could face deportation. However, the Trump administration has stated that they will not actively provide this information to immigration authorities. While the plan to end the DACA will have a six-month delay before any actions are taken regarding the program, the cease of the policy will no doubt affect the nearly 800,000 people that it now protects. This six month delay gives Congress time to pass legislation that may potentially allow undocumented immigrants in the United States to remain in the country. As of September 5th, the government no longer accepts new DACA applications. Any first-time applications that were filed prior to September 5th will still be processed as normal. Once permits begin to expire on March 6, 2018, current DACA recipients will no longer be able to work in the United States legally. According to Homeland Security, a total of 201,678 permits will expire between August and December 2017. The end of the Deferred Action for Child Arrivals, affecting DREAMers, has been intensely debated across the country. Those who are facing possible deportation as well as supporters of the policy are scrambling to shield young undocumented immigrants by pushing Congress to pass a replacement before the phasing out of the program in six months. The push not only benefits undocumented immigrants who desire the American Dream, but also has a positive impact on the U.S. economy. The majority of DACA recipients are in school or employed. They open businesses, buy homes and cars, and are expected to boost the economy even further over the next decade.